Bay and bow windows are very similar, but there is a distinction. Typically, bay windows are made up of 3 windows, with a larger one in the middle and smaller windows on each side. Bow windows will be made up of more than 3 panes of glass, depending on what your design calls for. Both bay and bow windows are angled so that they are almost in the shape of a bow. This "angle" provides an ideal place to add seating to the room, or a place to put plants. 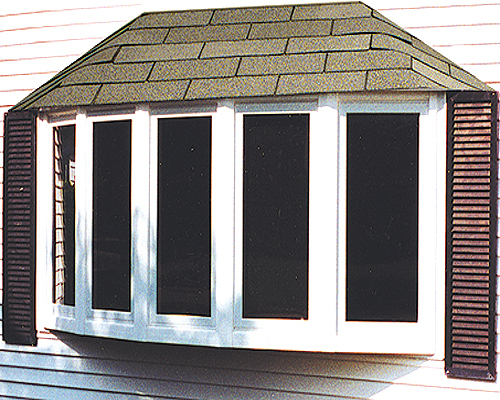 View our gallery to see a nice selection of bay and bow windows, all professionally installed by Exteriors of Lansing. 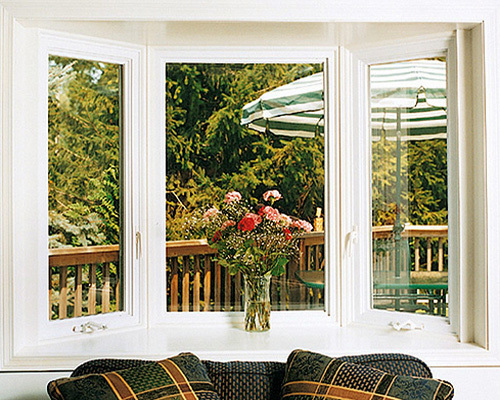 Request a free estimate for new bay and bow windows!